11 Nov 20:45 Driver of the Day goes to Mac Verstappen. 11 Nov 20:43 And Max goes off and threatens that Ocon should hide in the paddocks. 11 Nov 20:42 Mercedes wins the 2018 Constructors' Championship for the 5th consecutive time. 11 Nov 20:41 Hamilton clinches the Brazilian GP with Max Verstappen in P2. 11 Nov 20:40 Turmoil between the two Toro Rosso drivers for P10 and p11. 11 Nov 20:39 Final lap, can Hamilton hold on? The top 4 only have 5 seconds between them. 11 Nov 20:37 Two laps to go and Hamilton says he has no grip. 11 Nov 20:37 There's really no telling who could win this race with only a 1.7 second advantage. 11 Nov 20:30 Gap is now 2.6seconds. LAP 60: RIC storms down the inside of VB into Turn 1 to take P4. 11 Nov 20:27 The gap now 3.2seconds between the two race leaders. 11 Nov 20:22 "Bottas can you hold Ricciardo up?" 11 Nov 20:20 Vettel comes in to pit and comes out in P7. 11 Nov 20:12 Verstappen is now 5seconds behind Hamilton, but the race leader's tyres are not in prime form. 11 Nov 20:11 Ocon being investigated for causing a collision. 11 Nov 20:10 Vettel and Ricciardo giving us some thrilling racing but the Red Bull gets P5. 11 Nov 20:08 Max loses the lead back to Hamilton . He is now in P2. 11 Nov 20:07 Max spins out and hits a Force India. Max Verstappen flies past Lewis Hamilton to take the overall race lead! 11 Nov 20:06 Vettel and Ricciardo do some aggressive dancing. 11 Nov 20:03 Kimi still trying to pass Bottas in p4. 11 Nov 20:02 And Max passes Hamilton. The crowd goes crazy. 11 Nov 19:55 Thosse Ferraris are right on Bottas' tail. 11 Nov 19:55 Hulkenburg told to box and retire. He is not happy. LAP 31: Quick stop by Ferrari and VET is back out in P7. VB running in P5 - doing a top job of keeping Kimi out of his out window! 11 Nov 19:52 Kimi pits to come out behind Vettel in P6 and P7. 11 Nov 19:51 Ferrari pits Vettel... before Kimi who is in P2. Lewis Hamilton pits before setting a new fastest lap. Red Bull's Max Verstappen leads ahead of Kimi Raikkonen - but Marcus Ericsson's race is over. 11 Nov 19:46 Rains coming in. 40% chance of rain for the race predicted, along with thunderstorms. 11 Nov 19:44 Hamilton saying these tyres not feeling good. 11 Nov 19:43 This is the first time Red Bull leads a race at Interlagos in this turbo-hybrid era. 11 Nov 19:42 We are on lap 23/71. 11 Nov 19:40 Sauber brings in Marcus Ericsson to retire. 11 Nov 19:39 Verstappen told "not to overdrive it, keep it clean". 11 Nov 19:37 Hamilton in and out of the pits and comes out Romain Grosjean in P7. 11 Nov 19:36 Bottas comes in to pit. 11 Nov 19:36 Hamilton just completed Mercedes' 5000th lead lap in F1. 11 Nov 19:33 Alonso has a clutch issue hence the help of a jack in the pits. 11 Nov 19:30 There's less than 1.6seconds between the race leaders. Is this Max's race to win? FINISH What a race! What a way for the Americas section of the calendar to end. There is just one more race in 2019. Join us in Abu Dhabi in two weeks' time for the season finale. Bye for now! FINISH Mercedes become just the second team in history to win five straight Constructors' Championships after Ferrari (1999-2004, 6x). FINISH The controversy surrounded the Ocon-Verstappen incident, in which the Red Bull man was taken out by the Force India driver. FINISH Vettel finished P6, ahead of three more Ferrari-powered cars. Leclerc, Grosjean and Magnussen beat Perez, who took the final points paying place. FINISH With Bottas in P5, Mercedes have sealed the Constructors' Championship for a fifth consecutive year! FINISH Hamilton takes his 50th victory in the turbo-hybrid era. Verstappen and Raikkonen will be on the podium, while Daniel Ricciardo comes through from P11 to finish in P4. FINISH LEWIS HAMILTON WINS THE BRAZILIAN GRAND PRIX!! Lap 71 Both Red Bulls are too far back to make moves into Turn 4. Lap 70 ONE LAP TO GO! Can Max get Lewis? Can DRic get past Kimi? Lap 69 Alonso has been given a five-second time penalty for ignoring blue flags. Lap 69 "The car is not turning," says Hamilton. Panic with three laps to go. Lap 68 The gap between Hamilton and Verstappen is 1.5s. Lap 67 Lance Stroll pits and returns in P18, last of the runners on track. Lap 67 "Battery is full and you have Mode 7." Basically.. Go for it Daniel! GO GET KIMI AND GET THAT PODIUM! Lap 66 FIVE LAPS TO GO! 5.5s separates the top four. Lap 66 A 1:10.5 is another new race lap record for Bottas. The Finn is on fire on those new softs (S). Lap 65 Valtteri Bottas sets a new race lap record at Interlagos with a 1:10.8. Lap 64 Make that a McLaren double, as Stoffel Vandoorne is also under investigation for the same offence. Lap 63 Fernando Alonso is now under investigation for ignoring blue flags. Lap 62 A 1:11.3 for Daniel Ricciardo, another new fastest lap. Lap 62 Verstappen is now down to just 2.5s behind Hamilton. Lap 60 The top three are separated by just five seconds. Three between Hamilton and Verstappen, and a further two back to Raikkonen. Lap 59 Bottas now pits for a second time, and comes out ahead of Sebastian Vettel. Lap 59 Ocon comes in for his stop-go penalty and comes out in P17, just ahead of Fernando Alonso. Lap 58 RICCIARDO LUNGES PAST BOTTAS FOR P4! Lap 58 Vettel gets past Leclerc for P6. Lap 57 Vettel puts in a 1:11.4, a new fastest lap of the grand prix, and is right behind Charles Leclerc now. Lap 57 Esteban Ocon has been given a 10-second stop-go penalty for that earlier incident with Max Verstappen. Lap 56 Fernando Alonso pits for a second time, while McLaren team-mate Stoffel Vandoorne gets past Lance Stroll for P16. Lap 55 A purple middle sector for Verstappen, but the top three all do 12.0s and the gaps remain the same between Lewis, Max and Kimi. Lap 54 Mercedes are out in the pit lane... But neither car comes in this time round. Lap 54 Sebastian Vettel pits for a second time and is now on a new set of supersofts (SS). He now sits in P7, behind Leclerc. Lap 53 The answer is no.. To be brutal. Lap 53 "No more overtake," says Bottas' engineer. That mode is unavailable for the Finn. Can Danny Ric get past this time? Lap 52 It is not just Hamilton v Verstappen here. Kimi Raikkonen is only a second behind the Red Bull and currently sitting in P3. Lap 51 Charles Leclerc remains in P7 and is comfortably the 'best of the rest' in Brazil this afternoon. Lap 51 The two Williams and two McLarens are still the last four out on track. Another poor weekend for those two teams. Lap 50 The gap between Hamilton and Verstappen is now four seconds. Lap 49 Ricciardo is now right behind Bottas, with the Mercedes struggling on its rear tyres. Lap 48 Esteban Ocon is now ahead of both Williams and back up to P14 after that incident with Verstappen. Lap 46 The stewards are looking at the Ocon-Verstappen incident. Expect a penalty for the Frenchman. Lap 46 Ricciardo gets past Vettel for P5! The Aussie is on the move! Lap 45 Hamilton now has a five second lead over Verstappen. Lap 44 Esteban Ocon has spun the Dutchman round. He tried to un-lap himself and it has gone horribly wrong. "What a f***ing idiot" says Verstappen. Lap 43 MAX VERSTAPPEN SPINS IN TURN 2!! HAMILTON NOW LEADS!! Lap 42 OOOOOHH.. Sebastian Vettel pushes Daniel Ricciardo off the track at the outside of Turn 1. Fair move from the German as Danny Ric tries to get past his former team-mate. Lap 41 Magnussen pits and the cycle is complete. The Dane drops down to P9. Lap 41 Ricciardo puts in a 1:11.6 to set a new fastest lap on his first flying lap on these new tyres. Lap 41 Ocon now pits to leave Magnussen as the only man yet to pit in this race. Still Raikkonen can not get past Bottas. Lap 40 Just Magnussen and Ocon remain on their first stints. Both started the grand prix on the softs (S). Lap 40 Daniel Ricciardo pitted at the same time and falls back to P6, but will battle back against the Ferraris and Bottas. Lap 40 VERSTAPPEN LEADS THE BRAZILIAN GRAND PRIX!! Lap 39 Verstappen puts in a 1:12.1 and is now within DRS range of Hamilton. Lap 38 Talking of Leclerc, he now gets past Perez for P8 and is in a nett 'best of the rest' position. Lap 37 Daniel Ricciardo now leads having not pitted. Meanwhile, Leclerc drops down to P9 after his stop. Lap 36 A 1:12.5, new fastest lap, from Kimi as he chases down his fellow Finn. Lap 36 Verstappen finally pits. The softs (S) go on and the Dutchman will return to the track behind Hamilton. Lap 35 Vettel lets Raikkonen through and the two Finns will go at it again! Lap 34 The gap between Verstappen and Hamilton is 20 seconds. The average pit stop takes about 21... It is close, but Max will have the fresher tyres. Lap 33 Hulkenberg retires from the grand prix. "Ah for f*** sake," screams the Renault man on the team radio. Lap 33 Grosjean pits and returns to the track in P11, with Hulkenberg also coming in for his pit stop. Lap 32 Vandoorne nails Alonso into Turn 1 once again. Lap 32 Charles Leclerc is now up to P4 for Sauber. He is still on the (SS) tyres, just like the two Red Bulls. Lap 32 Raikkonen pits and will come out behind the Bottas-Vettel battle. Lap 31 Good battle going on at McLaren. Stoffel Vandoorne gets past Fernando Alonso into Turn 1, before the Spaniard got back past in Turn 4. Lap 31 Vettel nails Grosjean into the Senna S and is now right behind Bottas. The pair are P6 and P7, with Charles Leclerc in front of them. Lap 30 Verstappen, Raikkonen, Ricciardo are still yet to pit. Max says "these tyres are getting better". He is still on the (SS) tyres. Lap 29 Vettel gets past Magnussen and into P8, Grosjean next for the German. Lap 29 Daniel Ricciardo dips into the 1:12s with a new fastest lap of the grand prix, while Bottas gets past Grosjean and into P6. Lap 28 Bottas tries to get past Grosjean into Turn 4 but a half-hearted attempt sees him stay behind the Frenchman. Lap 27 Ferrari are getting tyres ready. Sebastian Vettel comes in for his stop and puts the mediums (M) on. Lap 26 Verstappen has now done 26 laps on these supersoft tyres. Hamilton pitted on Lap 19. This could come back to Red Bull later on. Lap 25 "This tyre doesn't feel good," says Hamilton on the medium tyres. Lap 23 Hamilton gets past Leclerc down the main straight and is back into the top five. Lap 22 A new fastest lap of the race from Hamilton, seven tenths quicker than Max. Lap 21 1:13.4 for Verstappen, another new fastest lap. Lap 20 Hamilton comes out behind Leclerc and Grosjean, while Bottas comes out a further place back with Magnussen in between the two Silver Arrows. Lap 19 Hamilton pits and Verstappen takes over the lead of the grand prix. Mediums (M) on to the other Mercedes as well. Both Lewis and Valtteri should reach the chequered flag now. Lap 18 Max Verstappen sets the fastest lap of the grand prix. Lap 18 Valtteri Bottas is the first man to pit. Mediums (M) go on the Silver Arrows and he should get to the end of the race on those. Lap 18 Sergey Sirotkin has pitted to cover off Alonso at the back of the field. Lap 18 Neither driver comes in though.. Hmm.. What are the Scuderia thinking? Lap 17 Bottas' rear right tyre is horrendously blistered, and now Ferrari come out into the pit lane. Lap 16 Fernando Alonso is the first man to pit and changes from softs (S) to mediums (M) but his clutch seems to have a problem, and he takes at least eight or nine seconds to get away from the McLaren pit box. Lap 16 Raikkonen tries to get round the outside of Bottas through Turn 6. WOW! The Mercedes man just about stays in front. Lap 15 "It seems like he is sliding more than me." Max can see Lewis struggling. Lap 14 Esteban Ocon gets past Fernando Alonso into Turn 1 for P15. Lap 13 Bottas is nearly four seconds behind the Dutchman in just a few laps. The Finn is struggling on those (SS) tyres. Lap 12 Verstappen is already within DRS range of Lewis Hamilton. Meanwhile, Bottas is holding off Raikkonen, Vettel and Ricciardo. Lap 11 Raikkonen tries to get past Bottas into Turn 4, but the two Finns remain as they were. Lap 10 Meanwhile, Esteban Ocon gets past Brendon Hartley for P16. Lap 10 VERSTAPPEN IS PAST BOTTAS FOR SECOND PLACE! Lap 9 Marcus Ericsson qualified in P7, promoted to P6 on the grid, but is now down in P14. Lap 8 Charles Leclerc is three seconds off the top six, with Romain Grosjean a second behind him. They then have a five second gap to Pierre Gasly. Could be a two-man race for that P7 slot. Lap 8 Verstappen lunges into Turn 1 but has to bail out and stays behind Bottas. Lap 7 Bottas goes defensive into Turn 1 as he tries to keep Verstappen behind. He manages to all the way down the hill into 4 as well. Lap 6 Hamilton, Bottas, Verstappen, Raikkonen, Vettel, Ricciardo the top six after the opening few laps. What a start! Lap 5 Ricciardo gets past Charles Leclerc and is now into the top six. He is only six seconds off the lead! Lap 4 Vettel has dropped behind Raikkonen as well. Lap 4 VERSTAPPEN DIVES PAST VETTEL AND INTO THE TOP THREE!! Lap 3 Verstappen gets past Raikkonen into Turn 1 and into the top four! Lap 2 The two Renaults almost come together at the final corner. Lap 2 Ricciardo is already up to P9, while Alonso gets past Hartley and into P15. Lap 1 Hamilton, Bottas, Vettel, Raikkonen, Verstappen the top five. START Raikkonen goes round the outside of Turn 4 to get back past Verstappen and into P4. START BOTTAS GETS PAST VETTEL! MERCEDES 1-2! 15:12 The cars are lining up on the grid right now... Here we go..
15:10 FORMATION LAP IS UNDERWAY! And Vettel gets away very slowly indeed, but he returns to second in line through the Senna S.
15:09 Hartley goes for the (M) and Perez goes for the (SS), but everyone else towards the back is on the (S) tyres for the start of this race. 15:07 The sun is out for now, but that 40% chance of rain could cause havoc later on for this race. Could Ferrari stretch their opening stints on the softs (S) until the rain comes? 15:05 FIVE MINUTES UNTIL LIGHTS OUT! 15:02 A little fact about this grand prix is that it is the first time that there has not been a Brazilian driver at his home grand prix for 44 years. Massa, Senna, Pace, Fittipaldi and Piquet have all won here in the past. 14:59 Lewis Hamilton won in Interlagos in 2016, and will be looking for a second victory today. Meanwhile, no other driver on the grid has tasted victory in Brazil. 14:57 A quick look back at the history of this race in the final minutes before the start. Sebastian Vettel is the only current driver to have won this race multiple times (2010, 2013, 2017). 14:55 FIFTEEN MINUTES TO THE START OF THE BRAZIL GP! 14:52 Marcus Ericsson has an issue, with his Sauber having lost part of the rear of his car on his out lap. That could lead to a long race for the Swede, who achieved his best ever qualifying yesterday. 14:49 The weather could be a factor. There is a 40% chance of rain arriving at around 4pm local time, which would be just before an hour into the race. 14:46 It is expected to be a one-stop race, but with the temperatures rising in Brazil, rear tyre wear could be increased and it could lead to two stops. 14:43 So the red-marked supersofts (SS) and yellow-striped softs (S) will be used amongst the top eleven, but we may see some of the drivers at the back of the field starting on the white-striped medium tyres (M) and going long on their first stint. 14:40 THIRTY MINUTES UNTIL LIGHTS OUT! 14:37 So it is Hamilton and Vettel at the front, but they will start the race on different tyres. Hamilton, along with the rest of the top nine (and Ricciardo in P11), will start on the supersofts (SS). Vettel and Raikkonen will both start on the softs (S) and that could give them an advantage in the opening stint. 14:33 The back row of the grid has a familiar feel to it. Lance Stroll lines up in P19 in Interlagos, with Stoffel Vandoorne rounding out the feel in his penultimate race for McLaren. 14:31 Fernando Alonso starts his final Brazilian Grand Prix from P17, with Esteban Ocon demoted to P18 after a five-place grid penalty for a gearbox change in his Force India. 14:28 Carlos Sainz and Brendon Hartley occupy the eighth row, with the Kiwi failing to get out of Q1 on his birthday yesterday. 14:25 Nico Hulkenberg lines up in P13, the first of the Renaults after a poor showing in qualifying on Saturday. He is accompanied on the seventh row by Sergey Sirotkin in the Williams. 14:23 Daniel Ricciardo will start in P11 after his five-place grid drop for a new turbo component in his RB14. Sergio Perez is the first of the Force Indias, with the Mexican lining up in P12. 14:20 Pierre Gasly made it into the top ten shootout for Toro Rosso once again, and he will start from P9. Kevin Magnussen is promoted to P10, but will have free choice of tyres at the start of the grand prix. 14:17 The second Sauber of Charles Leclerc will start the Brazilian Grand Prix in P7, with another Ferrari powered car alongside on the fourth row. Romain Grosjean's Haas takes up the P8 grid slot. 14:14 It would have been an all-Red Bull third row on the grid, but for Daniel Ricciardo's penalty. Instead, Marcus Ericsson will start from his highest ever grid slot alongside Max Verstappen, who starts in P5. 14:11 The second row is an all-Finnish affair. Valtteri Bottas lines up in P3, with Kimi Raikkonen in P4. The pair were both within two tenths of pole-sitter Hamilton in qualifying yesterday. 14:08 On to the race then, and let's take a look at the starting grid in Interlagos. The two title challengers will line up alongside each other on the grid, with Lewis Hamilton on pole position and Sebastian Vettel next to him on the front row. 14:06 A double podium finish would be enough for Mercedes to secure a fifth straight double, having won the Constructors' title every year since the start of the turbo-hybrid era (2014-2017). 14:03 The Drivers' title was wrapped up two weeks' ago in Mexico, but the Constructors' is still up for grabs. Ferrari must outscore Mercedes by 13 points this afternoon to take the challenge on to Abu Dhabi. 14:00 Hello and welcome to our coverage of the penultimate race of the 2018 season. 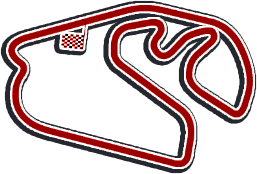 Round 20 comes from the Autodromo Jose Carlos Pace in Brazil. The race will begin in an hour and ten minutes. All times shown prior to the start of the grand prix are local. 16:04 A thrilling qualifying session in Interlagos then, with possible penalties to come. Find out tomorrow as to whether Hamilton can finally win a grand prix after securing the World Championship. Join us then. Bye for now. 16:03 Bottas, Raikkonen, Verstappen and Ricciardo followed in the top six. Ericsson qualified ahead of Charles Leclerc, with Sauber locking out the fourth row of the grid. Romain Grosjean and Pierre Gasly also start in the top ten. 16:02 Hamilton takes Mercedes' 100th pole position! Vettel will start on the front row at the moment, but both could face penalties for separate incidents in Q2. 16:01 LEWIS HAMILTON TAKES POLE POSITION!! 15:58 Ericsson, Leclerc and Grosjean are already out for their out laps for the final runs in this Q3 session. 15:57 THREE MINUTES TO GO: HAM VET BOT RAI VER RIC ERI LEC GRO GAS the order of the top ten. 15:56 Verstappen is ahead of Ricciardo by just 0.002s. The pair sit P5 and P6, but remember that Danny Ric has the five-place grid penalty for that turbo change. 15:53 1:07.4 for Kimi, but Seb beats it by a tenth! 15:52 Both Ericsson and Leclerc put in 1:08.4s, but both Ferraris go much quicker in the first sector. 15:50 Both Ferraris and the Toro Rosso of Pierre Gasly are next out on track in Q3. 15:49 Only the two Saubers are out at the moment. 15:48 Sebastian Vettel has been referred to the stewards for the weigh bridge incident in Q2. He drove on to the scales instead of being pushed on with the engine off. Vettel then "destroyed the scaled" by revving up the engine as he left the scales. Could be a penalty for the German..
15:46 Ferrari v Mercedes for pole? Or could Red Bull get in amongst them silver and red show up top? 15:44 Valtteri Bottas was quickest in Q2, while both Saubers also make the final part of qualifying for the second race running. 15:42 The Ferraris set their quickest times on the softs (S) and therefore, they could have the advantage when the race begins tomorrow afternoon. 15:42 Magnussen, Perez, Ocon, Hulkenberg ans Sirotkin the five men out after Q2. BOT VET HAM VER RAI RIC GRO LEC ERI GAS the men through to the top ten shootout. 15:41 CHARLES LECLERC GOES INTO P8!! The Monegasque driver gets through by putting a fantastic lap as the rain starts to fall. 15:40 CHEQUERED FLAG IS OUT TO END Q2! 15:39 Six men are out on track at the moment. Four of the bottom five, in Leclerc, Perez, Ocon and Hulkenberg, alone with Gasly and Vettel as well. 15:37 The rain seems to have come in now and that could well be the end of this session. 15:35 FIVE MINUTES TO GO IN Q2: Drop Zone: Leclerc, Perez, Ocon, Hulkenberg, Sirotkin BOT VET HAM VER RAI RIC GRO ERI GAS MAG the top ten. 15:33 Neither Verstappen or Ricciardo can go faster on the softs (S) so they will have to start the race on the (SS) red tyres. 15:32 Lewis Hamilton could be in trouble for blocking two different drivers. Both Kimi Raikkonen and Sergey Sirotkin almost had incidents trying to get past the Mercedes man. 15:30 Vettel puts in a 1:07.7 to go into P2. Both will start the race on the softs (S). Max Verstappen has now also gone out on the yellow tyres. 15:30 Raikkonen puts in a 1:08.0 with a purple final sector to go into P4. 15:29 Valtteri Bottas and Lewis Hamilton dip under 68 seconds to go P1 and P2. Raikkonen, Grosjean and Vettel the three men yet to set a time. 15:28 Max Verstappen (SS) puts in a 1:08.0 to go quickest, with Daniel Ricciardo just three hundredths behind him. 15:28 Sebastian Vettel is delayed at the weigh bridge in the pit lane. as he also comes in to put on the softs to get the advantage at the start of tomorrow's race. 15:27 "Four minutes until the rain comes" says Romain Grosjean's engineer. Meanwhile, Kimi Raikkonen comes into pits and puts on the yellow-striped soft (S) tyres. 15:26 Everyone is going out on the supersoft tyres in Q2, with Lewis Hamilton and Sergey Sirotkin the last men out on track. 15:24 Charles Leclerc is lined up at the end of the pit lane ready for the start of the second part of qualifying. Pretty much everyone else is right behind him. 15:22 So McLaren are the only team not to appear in Q2, with one Renault, one Williams and one Toro Rosso also dropping out after the first part of the session. 15:21 Max Verstappen was fastest in Q1, but will Mercedes or Ferrari bring the party modes forward.. Find out in a few minutes time. 15:19 Sainz, Hartley, Alonso, Stroll and Vandoorne are the five men out after the first part of qualifying. 25 races in a row for Stoffel Vandoorne being out-qualified by Fernando Alonso. 15:18 CHEQUERED FLAG IS OUT! 15:17 Sainz, Hartley, Alonso, Stroll and Vandoorne are the bottom five with ONE MINUTE TO GO! 15:15 Maybe not.. The other Toro Rosso knocks him out as Pierre Gasly moves up to P12. 15:15 Brendon Hartley gets out of the drop zone and into P15 on his birthday! Could we see the Kiwi in the second part of qualifying? 15:14 The top ten are now separated by just half a second in Q1. 15:13 Rain at Turn 4 and Turn 12 according to Nico Hulkenberg. 15:12 Sergey Sirotkin goes into P13, could we see a Williams through to the second part of qualifying? 15:11 Kevin Magnussen puts himself into the top five, less than three tenths behind Verstappen's session leading time. 15:10 Perez moves out of the drop zone and into the top ten. 15:07 The top six are separated by three tenths. Raikkonen to Ricciardo (P2-P6) separated by less than a tenth so far in Q1. 15:06 Just 1.3s separates the top 16, with Sergio Perez the man on the cusp. Meanwhile, Charles Leclerc spins at Turn 10 but recovers quickly to get back on track. 15:04 Max Verstappen puts in a 1:08.2 to go quickest. Raikkonen, Hamilton, Vettel, Ricciardo, Leclerc, Bottas, Ericsson and Magnussen all within a second. 15:03 Raikkonen - 1:08.4 Hamilton - 1:08.4 Leclerc - 1:08.8 Bottas - 1:08.8 Ericsson - 1:08.9 A great early start for Sauber. 15:02 Valtteri Bottas will be the first man across the line, while the two Toro Rosso drivers are yet to appear from the pit lane. 15:01 "Rain is on its way" says Hamilton's race engineer, Peter Bonnington. 15:00 Q1 IS GO! We have a four-car queue at the lights, as if to say there may be some rain... Hmm... Leclerc, Bottas, Hamilton, Ericsson, Vandoorne, Alonso, Raikkonen and Sainz get out early. 14:59 A reminder of penalties ahead of qualifying. Both Daniel Ricciardo (turbo) and Esteban Ocon (gearbox) will serve five-place grid penalties from their qualifying positions. 14:58 The three tyres available for this weekend are the red-striped supersofts (SS), yellow-striped softs (S) and the white-striped mediums (M). Will we see the top teams try to get through Q2 on the softs? 14:55 FIVE MINUTE WARNING FOR QUALI! 14:53 A look at the weather now, and it looks like it will be a dry session, but there are some dark clouds lurking around the track.. Who knows? 14:50 10 MINUTES UNTIL QUALIFYING BEGINS! 14:47 It looks to be a four-horse race for pole this afternoon, with the two Ferraris and two Mercedes going up against each other. Can Lewis take a step towards a first win after securing the World Championship? Can Seb or Kimi give Ferrari a boost for the Constructors'? 14:44 Vettel took pole in 2013 in Sao Paulo, while Hamilton also took pole position in qualifying in 2016. Nico Hulkenberg is another man on the grid that has started from the front in Brazil. The German did so in 2010 for Williams. 14:41 A look ahead to qualifying now, with Valtteri Bottas having taken pole position at Interlagos last year. However, Sebastian Vettel went on to win the grand prix. 14:38 The two Red Bulls were in a little battle of their own in P5 and P6, with Max Verstappen just going quicker than Daniel Ricciardo. Haas seem to be the best of the rest this weekend, with Kevin Magnussen and Romain Grosjean ahead of Pierre Gasly and Charles Leclerc, who rounded out the top ten. 14:36 Lewis Hamilton suffered from some smoking issues with his Mercedes engine during the opening part of this morning's session, but finished FP3 in P2, with Valtteri Bottas and Kimi Raikkonen also in the top four. 14:33 We had a new ultimate lap record for the Interlagos circuit this morning in FP3, as Sebastian Vettel dipped down into the 1:07s in his Ferrari. 14:30 Hello and welcome to our coverage of qualifying ahead of the Brazilian Grand Prix. The first part of the session gets underway in 30 minutes' time. All times shown are local. 13:00 Checkered flag! A Red Bull quickest in FP1, Mercedes fastest in FP2, and now Sebastian Vettel's Ferrari on top in FP3. What does qualifying have in store for us? We'll find out in a couple of hours. 12:55 Five minutes left in the session. Just enough time for some high fuel runs. 12:54 Verstappen battles traffic to put himself P5 on the leaderboard, moving Ricciardo down to P6. The Dutchman and the Aussie are seven and eight tenths off the pace respectively and don't look to be in the upcoming battle for pole position. 12:51 Hamilton goes for another qualy sim run, but backs off completely two thirds of the way through and dives back into the pits. 12:48 Hello, hello. Romain Grosjean has just split the two Red Bulls in P6 on his most recent lap on the supersofts. The Haas car has shown good pace throughout the weekend thus far. 12:47 Hamilton sets the best middle sector of anybody on his latest hot lap, but is a couple of tenths down on Vettel and settles for P2. 12:45 If you are a McLaren fan, don't look at the bottom of the leaderboard. Nothing for you to see there. 12:40 Wowsers! Vettel pumps in a 1:07.948! He is half a second clear of Bottas and Raikkonen, currently occupying P2 and P3 respectively. That's an absolute track record. 12:38 Upping the ante now. Hamilton goes quickest with a 1:08.762, but not for long as Raikkonen takes two tenths out of that with a 1:08.490. 12:37 Ricciardo gets the benefit of a slipstream down the start/finish straight and goes P4, three tenths down on Vettel. Verstappen is P5, a couple of tenths further back. 12:33 Hamilton stays out this time and is going to put a hot lap together. 1:08.857 the time to beat...and he is a couple of tenths off the pace after a poor first sector. Bottas has also put himself within two tenths of Vettel, too. 12:29 No sign of the Red Bull boys yet. But nothing appears to be amiss there. They do like to save as much mileage as possible with those pesky Renault engines. 12:27 All looks well again in Hamilton's garage. They have revved up the car and the smoke has disappeared. Looks like he'll be back out again very shortly. 12:25 Bottas' first effort on the supersofts puts him four tenths down on Vettel in P2. 12:24 Gasly and Grosjean think it's Sunday and are battling with each other down to Turn 1, where Gasly goes in too deep, squirms out of position, and ruins his lap. 12:22 A whole bunch of the Mercedes crew are stood in front of Hamilton's car. Whatever the issue is, they don't want anybody looking. 12:20 Looks like there is, the engine cover is coming off and there are a few wisps of smoke. Meanwhile, back on track, Vettel fails to improve on his personal best before coming back into the pits. 12:15 Vettel is able to turn it up a notch straightaway by taking half a second off Raikkonen's best. He is straight into the 1:08s. 12:10 Some minor improvement from Raikkonen on his next run - a 1:09.409. Sirotkin and Stroll the only other drivers with times on the board thus far. 12:05 Time for some hot laps. Kimi Raikkonen is going for an opening blast on the supersofts and lays down a pretty scruffy 1:09.424. 12:00 Away we go. Sauber duo Marcus Ericsson and Charles Leclerc are amongst the eager beavers. 11:58 Nico Hulkenberg has some catching up to do after his big crash in FP2, but his car has been put back together and can get going again for this final hour of practice. 11:52 Another driver with a five-place grid penalty is Force India's Esteban Ocon. He has had to change his gearbox before completing six consecutive races with his old one. 11:50 If you were buried under a rock yesterday, you may not realise that Daniel Ricciardo has a five-place grid penalty coming his way after his cursed RB14 required a new turbocharger. 11:39 It was a very intriguing start to proceedings on Friday, with just a tenth separating the top three in both FP1 and FP2. Max Verstappen was quickest in the morning session before Valtteri Bottas took P1 by a mere 0.003 seconds to Lewis Hamilton on Friday afternoon. 11:30 Hello and welcome back to the old school Interlagos circuit. It's qualifying day in Brazil! But first, a final hour of tweaking and fine tuning is in order with FP3. 16:35 That is all from us for Friday's running at the Brazilian Grand Prix. Join us tomorrow morning for the final practice session of the weekend. Bye for now. 16:33 Grosjean was best of the rest, ahead of Leclerc, Magnussen and Ocon in the top ten. Perez, Gasly, Alonso, Sainz, Ericsson, Sirotkin, Vandoorne, Stroll, Hartley, Hulkenberg the order of the bottom half of the field. 16:32 Valtteri Bottas takes top spot in FP2, ahead of Lewis Hamilton by just 0.003s. Sebastian Vettel, Daniel Ricciardo, Max Verstappen and Kimi Raikkonen round out the top six. 16:30 CHEQUERED FLAG IS OUT! 16:30 Kevin Magnussen's right wing mirror has flown off his Haas. That is one way of getting rid of excess weight off the car! 16:29 FINAL MINUTE OF FP2. 16:27 There is nearly contact between Valtteri Bottas and Sergio Perez at the first corner, as the Finn locks up as he attempts to go down the inside of the Force India. 16:24 Carlos Sainz puts a great move on Romain Grosjean down into Turn 1, but the Frenchman is straight on the radio to complain about it. 16:22 So both Stoffel Vandoorne (technical) and Nico Hulkenberg (crashed) are out of this session now, with the other 18 cars out on track. 16:18 That problem for Stoffel Vandoorne could well be the end of his session, as the Belgian has got out of his MCL33. 16:16 Sticking with Williams, apparently Robert Kubica has been offered a race seat for 2019, but the Pole has been in talks with Ferrari about their development driver role for next season as well. 16:15 Rob Smedley has announced that he has been speaking to teams about a new role, after confirming he will leave Williams at the end of the 2018 season. 16:13 Fernando Alonso looks like he is blocked by Sergio Perez at the final corner. Meanwhile, McLaren team-mate Stoffel Vandoorne has a problem and returns to the pits. 16:09 Hamilton is on the radio saying "something still doesn't feel quite right". 16:05 Romain Grosjean has remained as the best of the rest, whilst team-mate Kevin Magnussen is in P9. The pair are split by another Ferrari customer in Charles Leclerc's Sauber. 16:01 Max Verstappen overtakes Lance Stroll, saying it was a "big compromise". Despite that, he moves into P5. 16:00 Only four men have gone over the 200mph mark in the speed trap so far in FP2. Both Williams, along with Bottas and Vettel have hit two ton on the straights. 15:57 "Small drops of rain" says Kevin Magnussen, but his engineer says it should disappear "quite soon". 15:55 Max Verstappen's first flying lap puts him into P6, eight tenths off the pace. 15:51 There is now a 40% chance of rain around the Interlagos circuit now. That would really see things change in this session. 15:47 Max Verstappen finally appears for this second practice session, with his Red Bull mechanics having fixed a crack in the oil tower of his Renault engine. 15:45 HALFWAY THROUGH FP2: BOT - HAM (0.003s) - VET (0.073) - RIC (0.318) - RAI (0.566) the top five. 15:42 Romain Grosjean is currently the best of the rest in P6 (VER no lap). and is the only man outside of the top three teams to be within a second of the leading time so far. 15:40 Hamilton goes P2, just 0.003s behind his Mercedes team-mate. 15:38 Bottas, Vettel, Ricciardo, Hamilton, Raikkonen the top five so far in this session. 15:34 Bottas goes quickest with a 1:08.8, 0.073s quicker than Vettel. 15:32 Vettel goes into the 1:08s! 15:28 Hamilton goes fastest on the (S) tyres, more than a quarter of a second ahead of Kimi Raikkonen. 15:26 As Sergio Perez puts in a 1:13.1, it leaves Max Verstappen as the only man to have not posted a lap time so far in FP2. 15:23 Kimi puts on the (SS) but can only manage a 1:09.5, just 0.057s ahead of his Ferrari team-mate. 15:21 Lewis Hamilton's first lap after the red flag is a 1:09.6, putting himself into P2. Both Mercedes now within a tenth of Kimi Raikkonen. 15:19 Sebastian Vettel has had an issue with his pedal box, but it could be that there is a problem with the front suspension of his Ferrari. 15:17 BACK UNDERWAY! The two Saubers are the first cars back out on track. 15:15 Hulkemberg took the only pole position of his career in Brazil in 2010, but has dented the barriers pretty heavily this afternoon. 15:11 RED FLAG! Nico Hulkenberg crashes on the exit of the final corner and smashes his Renault into the barriers and that is this session suspended for now. 15:10 And now Vettel goes quickest. 15:09 Valtteri Bottas goes quickest with a 1:09.6, with Daniel Ricciardo now in P2 ahead of Sebastian Vettel. 15:07 Sebastian Vettel dips into the 1:09s to go fastest so far. 15:05 Max Verstappen's car is not ready for the start of this session due to an oil leak after a part in the engine cracked. 15:03 Kimi puts in a 1:10.5 to get us going in this second practice session. 15:01 Kimi Raikkonen is the first man out on track, as the grey clouds start looming around the circuit. 14:58 The three tyre choices available for this weekend are the red-striped supersofts (SS), the yellow-marked softs (S) and the white-striped mediums (M). 14:56 A quick look at the weather for this afternoon's session. It is cloudy in Interlagos, with a small chance of rain across the newt hour and a half. 14:55 FIVE MINUTE WARNING FOR FREE PRACTICE 2! 14:52 McLaren hold P6, ahead of Force India, who are still recovering from their original exclusion from the Championship over the summer break. Sauber, Toro Rosso and Williams prop up the table. 14:48 Red Bull are all on their own in P3 in the teams' standings, while Renault hold a 30 point lead over Haas in the battle for 'best of the rest'. 14:45 Mercedes can seal the double for a fifth straight year with a double podium finish in Brazil, with Ferrari needing to outscore the Silver Arrow by 13 points to take the battle onto the season finale in Abu Dhabi. 14:41 A reminder that of course, the Drivers' Championship is all done and dusted now, with Lewis Hamilton having sealed his fifth crown in Mexico last time out. That leaves the Constructors' as the one left to play for. 14:39 There were several driver changes for this morning's session. Nicholas Latifi replaced Sergio Perez at Force India, Lando Norris was in for Fernando Alonso at McLaren, and Antonio Giovinazzi drove the Sauber in place of Marcus Ericsson. 14:36 Daniel Ricciardo was in P4 this morning, but the Australian will take more grid penalties this weekend as his wretched luck continues. 14:33 Max Verstappen was fastest in FP1 this morning, just pipping Sebastian Vettel and Lewis Hamilton to the top of the timesheets. 14:30 Hello and welcome to our coverage of the second practice session at Interlagos, ahead of Sunday's Brazilian Grand Prix. FP2 starts in half an hour, and all times shown are local time. 12:32 Verstappen finishes the session fastest of all with a 1:09.011 with Vettel in second place, 0.049s. Hamilton is third, a further 0.05s off the pace. Three teams in the top three, arguably the least expected one in P1. Should be interesting to see how FP2 plays out. Join us in two hours for Friday's second practice session. Cheers. 12:27 Three minutes until the red flag and mainly heavy fueled runs taking place so the times are staying as is. 12:24 Verstappen, Vettel and Hamilton have all left the pits for a final run for the session with the Dutchman lining up behind Vettel as they practice a start on the way out of the pits. 12:21 Norris has an off at Turn 1 as he takes to the runoff. He reports that everything is "fine" with the car. 12:18 It has been a good session so far for Sauber with Leclerc P9 and Giovinazzi up to 13th place. The Italian, who will replace Leclerc next season, is just three-tenths slower than the much-applauded Frenchman. 12:17 If this was qualifying, the drop zone would be: Norris, Sirotkin, Hartley, Vandoorne and Latifi. 12:13 The top three (Verstappen, Vettel and Hamilton) are separated by less than a tenth of a second with 0.9s between first and seventh. 12:09 As seen far too often this season the top six positions belong solely to the top three teams. Haas are best of the rest in seventh and eighth ahead of Leclerc and Ocon. 12:07 Another Ferrari on the rise as Vettel is up to second on the supersoft tyres. He is 0.049s down on Verstappen's best. 12:04 New P1 as Verstappen crosses the line with a 1:09.011 to go 0.096s quicker than Hamilton. Great lap given Red Bull are expecting to struggle down the long Interlagos straights. But then again it is just FP1. Raikkonen on the soft tyres ups his pace to go third. 12:03 Haas announce an early shower for Magnussen as he has smoked his second set of tyres so that's his tyres done for FP1. 12:02 After an hour of debate the FIA have confirmed Ricciardo's penalty is a five-place drop for his new turbocharger. May be the rule, may be because they fell sorry for him. 11:59 Hartley is having a nag about Giovinazzi. Not sure we can repeat what he said... mainly because it wasn't very clear but Toro Rosso got the message so that's all that matters. 11:57 Goods news for Bottas as he is being miked up so it seems whatever the leak was, Mercedes seem to have fixed it. Hamilton is back out on track but not improving on his earlier P1 time. 11:53 A problem for Bottas as there is are drops of oil under his W09. His mechanics are there with flashlights in hand trying to fix the leak. 11:52 Magnussen, Grosjean and Giovinazzi join the action. Grosjean puts in a great 1:09.9 on the supersofts and jumps to fifth place, Giovinazzi stays 17th, and Magnussen improves his time but remains P8. 11:47 Norris breaks the silence as he heads out on the soft tyres. The 2019 McLaren driver improves to 12th place. 11:43 Good news is Vandoorne did put in a lap time during the first 40 minutes of play, bad news is he is stone last... 2.689s off the pace on a track that takes 70 seconds to cover. 11:40 Silence descends over the Interlagos circuit as the drivers are all back in the pits to return their first set of tyres to Pirelli. The rules are the rules. 11:36 Verstappen had a brief spell up in P1 before being pipped by Hamilton. A 1:09.423 for the 2018 World Champion, which puts him 0.083s up on the Red Bull driver. Hamilton is, however, reporting understeer. 11:33 P1 for Bottas, a 1:09.939. Great lap from the Finn, not so great lap from Hulkenberg who is up to 11th but after a scruffy lap in which he rode the kerbs a bit too hard. And we have a time from Giovinazzi leaving just Vandoorne without a time to his name. 11:30 Hamilton goes fourth on his first flying lap while Bottas is seventh. The Mercedes team-mates separated by the Haas drivers. 11:27 New P1 as Raikkonen lays down a 1:10.086. Gasly joins the list of those locking up at Turn 1. 11:26 And here comes the World Champ! Hamilton leaves the pits with a set of supersoft tyres on his W09. 11:25 Problems for Gasly, who reports that his "steering is a bit bent" on the right. Not the first time this season that the Frenchman has had this problem. 11:21 More action as Vettel, Raikkonen, Pierre Gasly and Brendon Hartley leave the pits. 11:20 Still no sign of either Mercedes driver but seeing their cars in the garage it is clear that Valtteri Bottas is trying a high downforce wing this session while Hamilton has the usual spec. 11:19 Ricciardo joins the party on the red supersoft tyres and easily goes fastest with a 1:10.139. 11:16 Norris is warned about the Turn 4 kerbs, a tailwind and ups his pace to a 1:12.312. 11:11 Norris hits the front with a 1:13.312 despite a few moments with the Interlagos kerbs. It is super dusty out there this session. 11:08 Raikkonen pits and Stoffel Vandoorne is the only man still out on track... and with that Stoff pits. 11:07 First time on the board and it is a 1:20.666 from Kimi Raikkonen, who won the Brazilian GP back in 2007. 11:05 News in is, Ricciardo has a new turbocharger so is facing a grid penalty. 11:02 Antonio Giovinazzi leaves the pits in the Sauber, he is replacing Marcus Ericsson for this session (and next season) while Nicholas Latifi in his in the Force India in place of Sergio Perez - that's one just for this session. 11:01 Ricciardo heads out ahead of the two McLarens, both of which are sporting new noses. Lando Norris is in Fernando Alonso's MCL33. 10:58 Daniel Ricciardo will be the first man out of the pits. He had been sitting at the end of the pit lane for more than 10 minutes as Red Bull try to get the jump on anyone else facing engine penalties. 10:56 Overcast skies ahead but no rain as yet. There is, however, rain forecast for later in this session and even more during FP2. 10:47 One team that is hoping for a good result after weeks of misery is McLaren, more specifically Fernando Alonso. The double World Champion, who is leaving F1 at the end of this season, reckons this weekend's race marks his last opportunity to score points. He has 1,899 to date. 10:43 Red Bull arrived at the Interlagos circuit all but ruling out a possible fight for the win even though Max Verstappen won last time out in Mexico. The Dutchman concedes the Brazilian track is not suited to Red Bull's RB14. 10:39 Further down the table, Red Bull are a distant third; Haas are chasing Renault but admit they need a "miracle" to close the 30-point gap; Force India are closing in on McLaren but doubt there are enough races remaining to do so; Sauber are holding off Toro Rosso and Williams are stone last. 10:37 Mercedes are leading the Constructors' Championship on 585 points with Ferrari second on 530. That means a double podium for the Brackley squad will secure the title this Sunday while Ferrari need to outscore Mercedes by 13 points to stand any chance of grabbing the title in Abu Dhabi. 10:30 With the Drivers' Championship decided last time out in Mexico with Lewis Hamilton's P4 handing him an unassailable lead over Sebastian Vettel in the standings, the attention now turns to the Constructors' Championship and whether Mercedes can wrap up the double this Sunday. 10:00 Welcome to the Interlagos circuit, home of the Brazilian GP, none of this year's drivers, and the late great Ayrton Senna. Tune in for our build-up to Free Practice 1 at 12:30pm GMT.